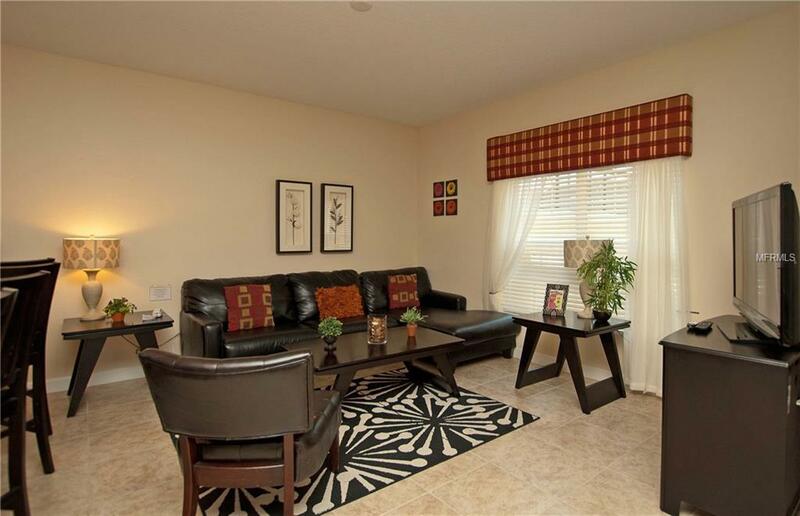 Beautiful fully furnished townhome with fabulous amenities. 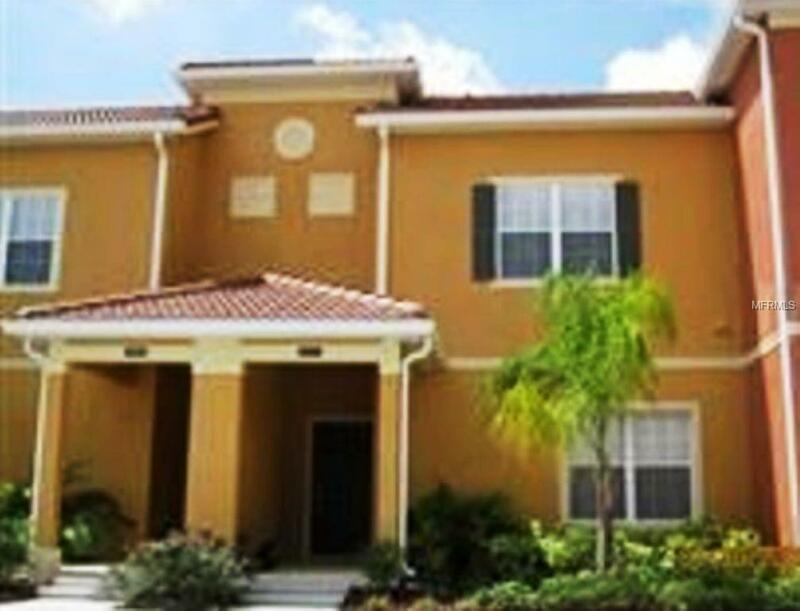 This 4 bedroom townhome with a south-facing pool (sun in the afternoon!) 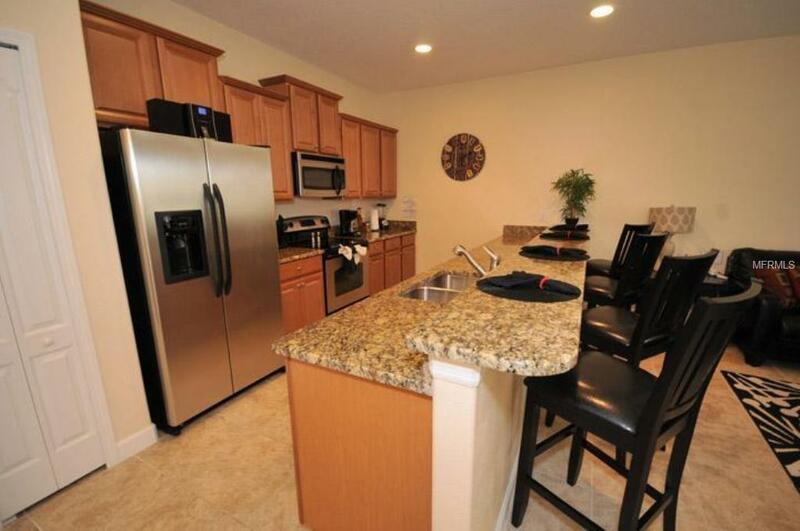 was professionally decorated with an upgraded furniture package, granite counters in the kitchen and bathrooms, stainless appliances and all the necessary household furnishings for a perfect stay. The unit has been updated with new mattresses, new sofa and chair in living room, linens, cookware, glassware and baby gear. Paradise Palms is one of the most popular resorts in the Disney area and this unit consistently enjoys high occupancy rates. The resort features a 9,500 square foot clubhouse with a movie theater, fitness center, game room, tennis courts, basketball and volleyball courts and a 24 hour manned security gate. The resort-style pool features a waterfall, grotto and spa, a poolside slide, tiki bar and grill. HOA incudes your cable, internet and phone. 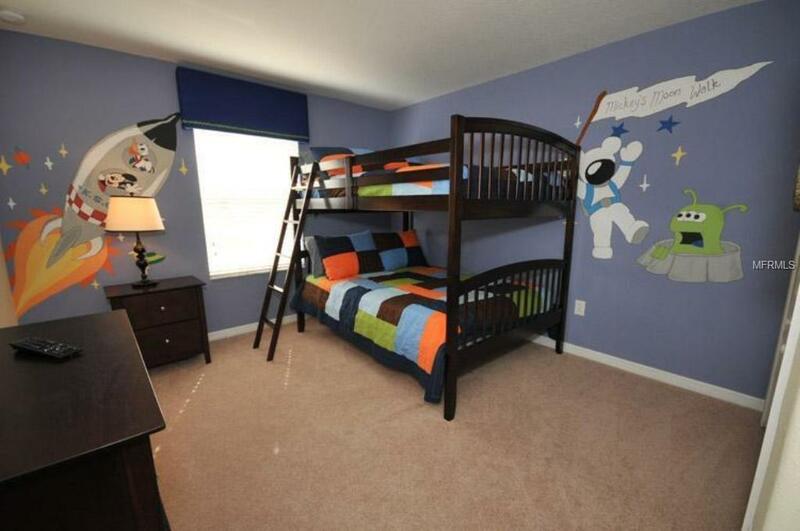 This is a popular short-term rental unit that has consistently generated a steady stream of revenue.